Do you want to advertise your business in the Hillcroft Market? 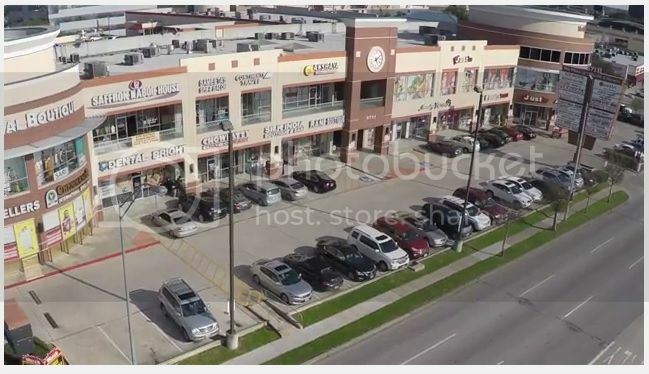 The Plaza @ Hillcroft & Harwin has placed picture Frames by the escalator to allow tenants & outside businesses to advertise on site and gain the attention of a captive audience. You can promote your brand, product or service to thousands of savvy consumers. Prices $20 per month or $240 per year Frame size 20" X 30" All ads must be submitted to our office for approval before installation and can not compete with current tenants.Call or email us today to get more details. 713.935.0700 rsrealtymgmt@gmail.com. Jewelry Factory New Items In! Visit Jewelry Factory's New Website! 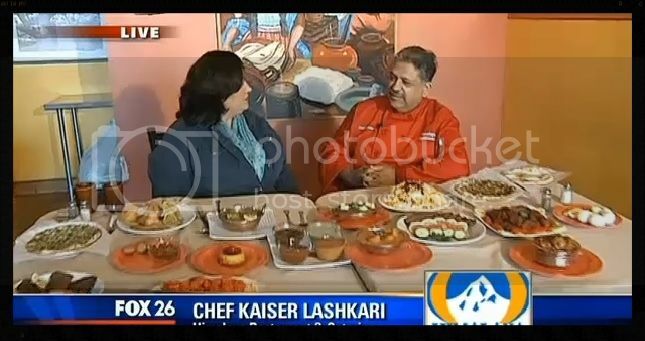 Now Open Krish Grocery Sweets & Snacks! 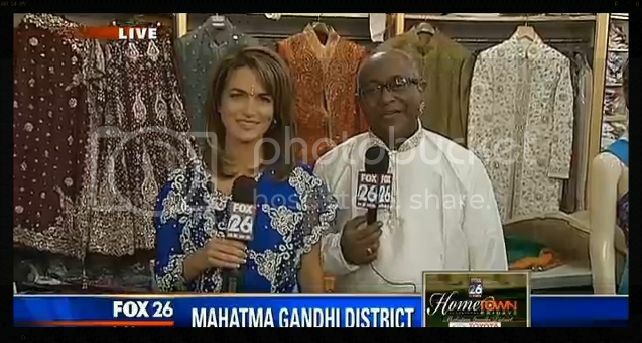 Interview with Dilip Mulani of Sari Sansar and Silk India. Please click the picture below to watch the video. Please refer to our Plaza Store Map for exact location of these and many other stores at The Plaza @ Hillcroft and Harwin. See what's new at Houston Dance Factory! New Classes Begin August 5 - 11,2013! Cost: $50 for 4 classes or $125 for 3 months (12 classes). Construction has started, only a few suites left!!!! Don't miss your chance to lease at The Plaza @ Hillcroft & Harwin! 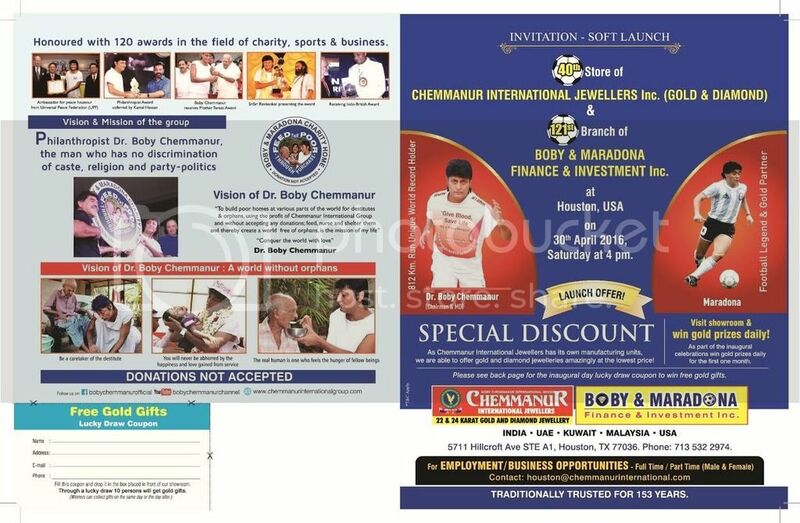 "Give Blood Save Lives" For this good cause, Boby Chemmanur runs 600 kilometers from Kasaragod to Thiruvananthapuram for creating the world's largest blood bank. Join us for making this event a big success. Click here for more Info. 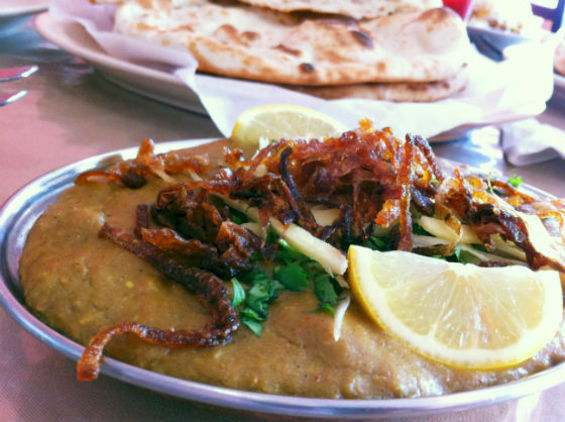 Chowpatty Chat Co. Coming Soon! A La Mode Butik Coming Soon! 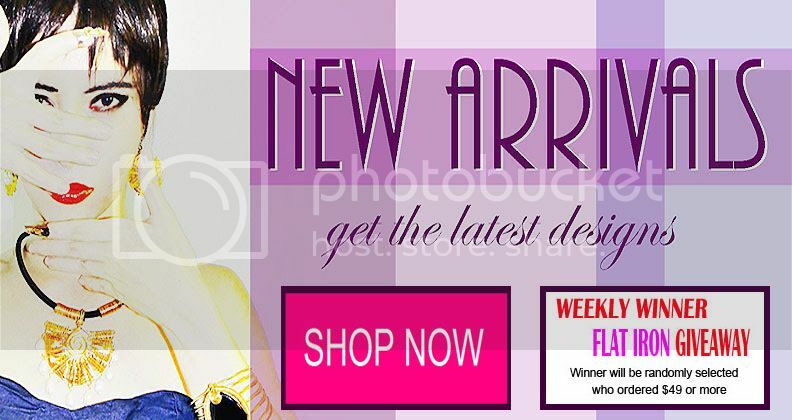 New sale items are added EVERYDAY Check out our "SALE" tab and save up to 70% off on a huge selection of our best selling items Don't Miss our "Summer Rewards" too. 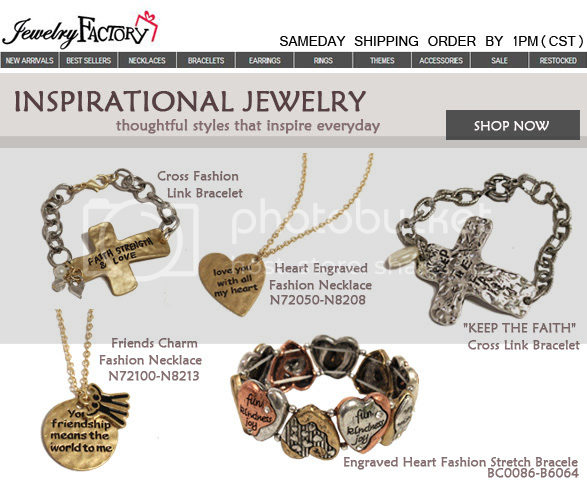 Enter for a chance to win $100 Gift Certificate from Jewelry Factory! 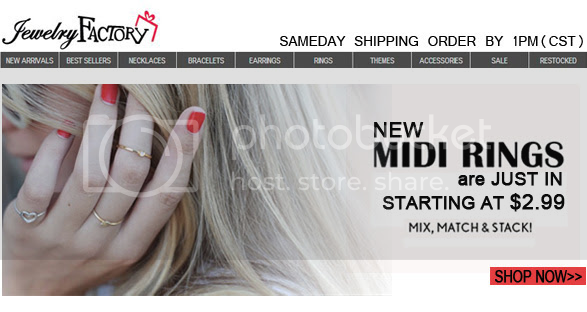 Jewelry Factory NEW IN : MIDI-RINGS​! 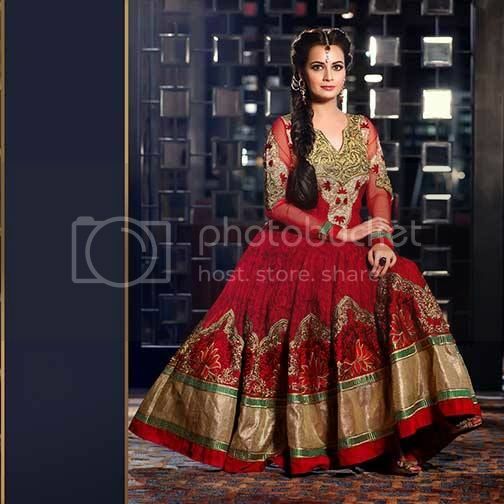 Dia Mirza Anarkali Suits - EID Collection 2014 New Anarkali suits for EID have arrived. Have you got one for yourself? 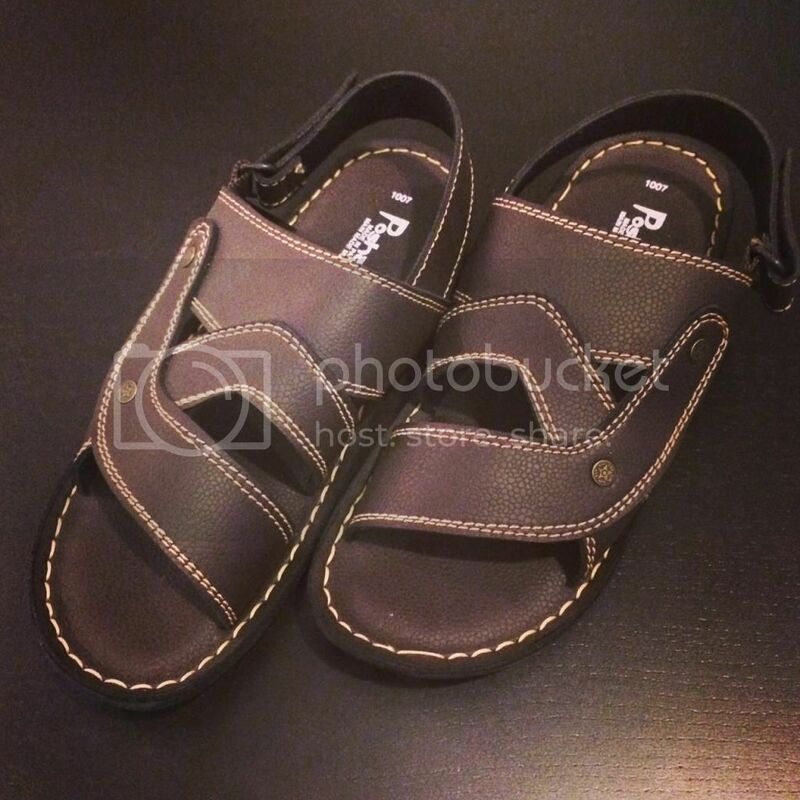 Share your thoughts, what you think about about these? EID SALE upto 50% OFF It’s EID time and a celebration atmosphere is in the air as people are rushing to buy clothes for the festival of fasting. 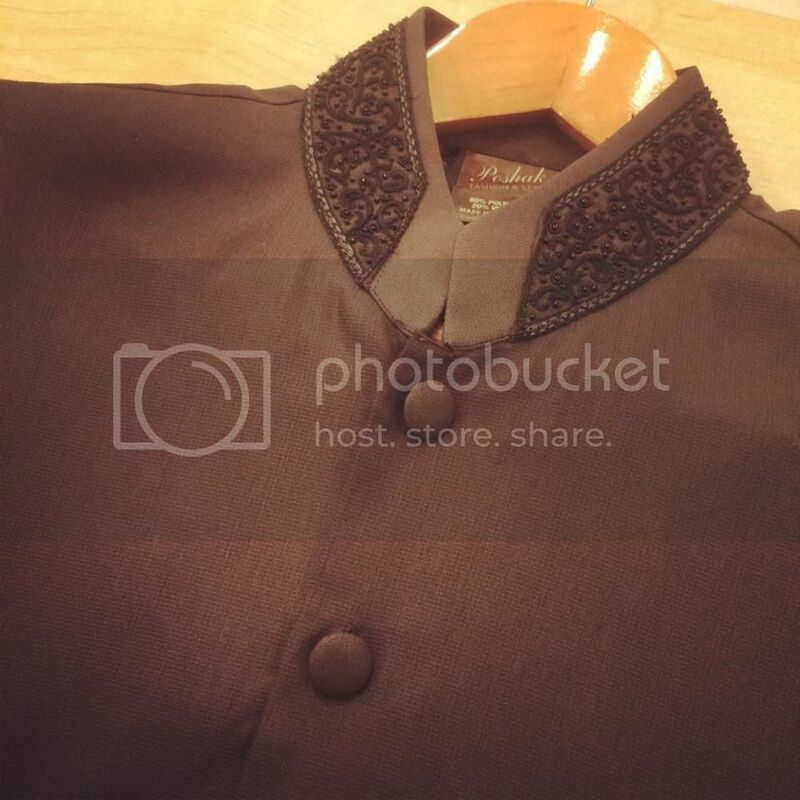 Shopping of glamorous Eid clothes is one of the primary activity of spectacular Eid celebration. 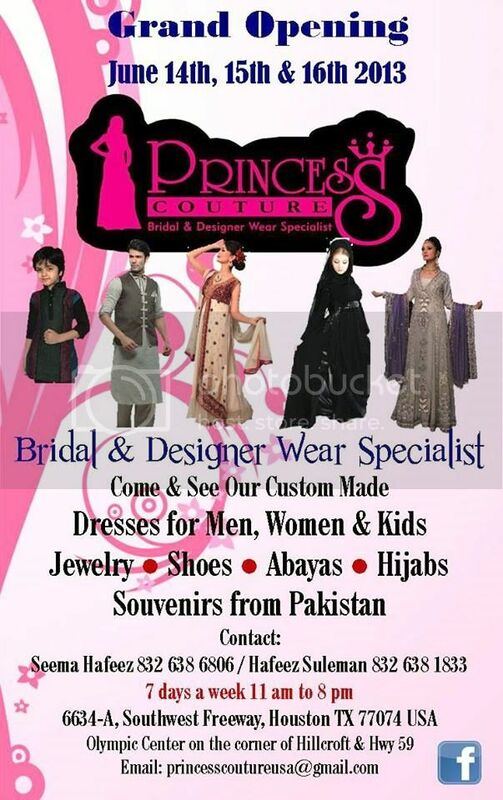 RANI boutique is offering upto 50% Discount on all products to make your Eid celebration shopping more enjoyable. New Clothing Store Coming Soon to The Olympic Center if your interested in applying for a job check out the job description below and submit your resume to anuj@ghungat.com. 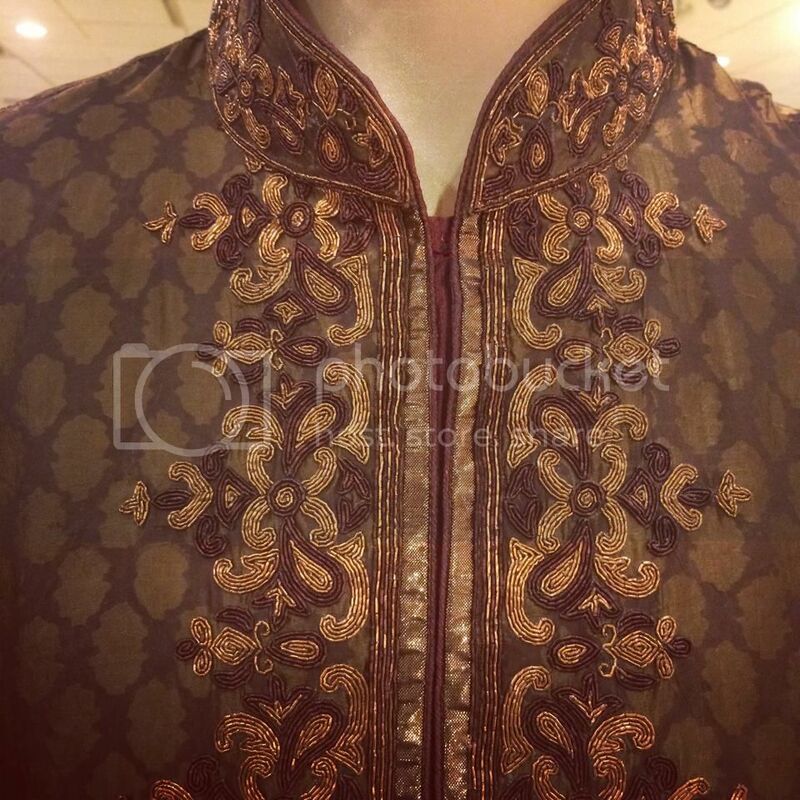 JOB DESCRIPTION: Ghungat is a high end boutique for exclusive Indian Garments like Sari, Suits and Indian Bridal wear called Lehenga, Our primary customer base will be people with Asian background like Indians, Pakistani and Bangladeshi, We also have wedding gowns which are likely to involve the wider audience. 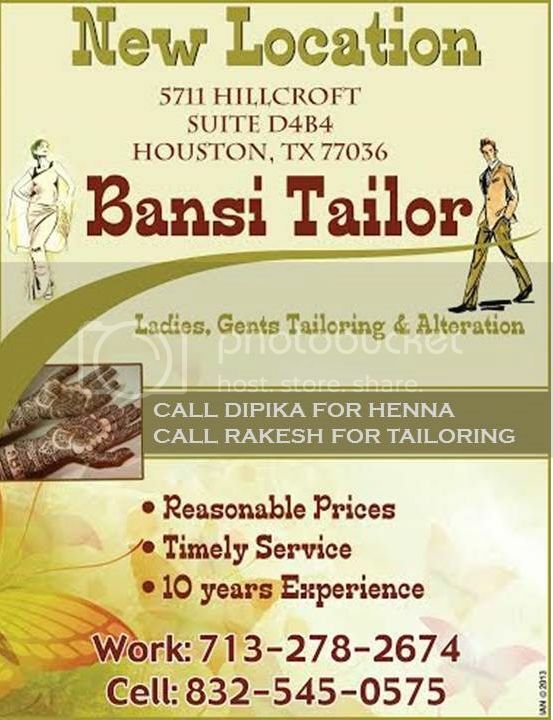 We are opening a new store in the Hillcroft area in Houston. 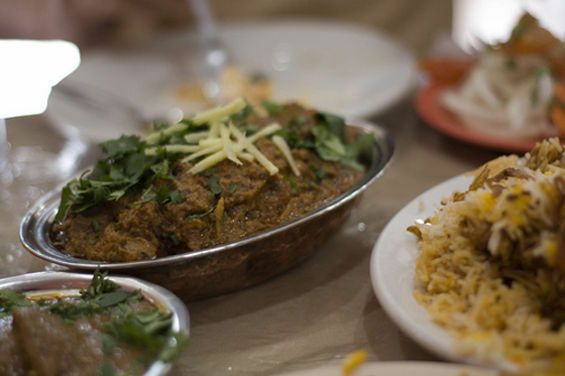 Best Indian Restaurant Houston 2014 - Himalaya Restaurant! 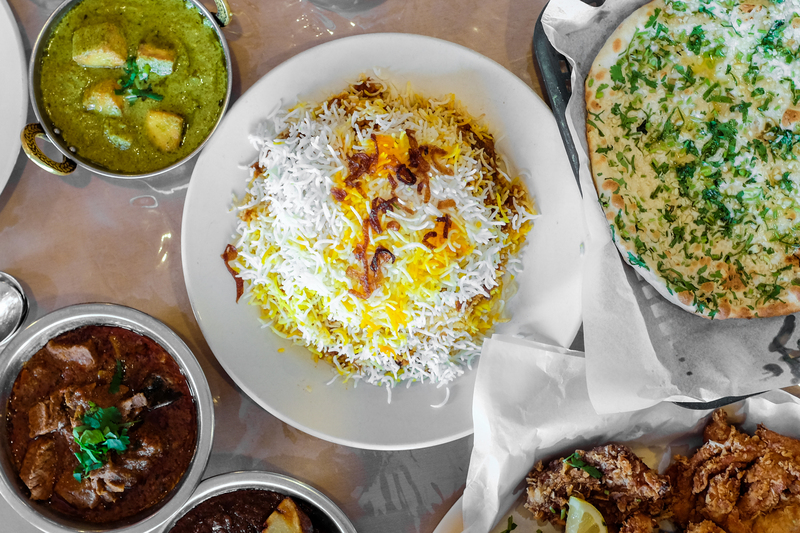 Himalaya Restaurant has been awarded the Best Indian Restaurant in Houston. 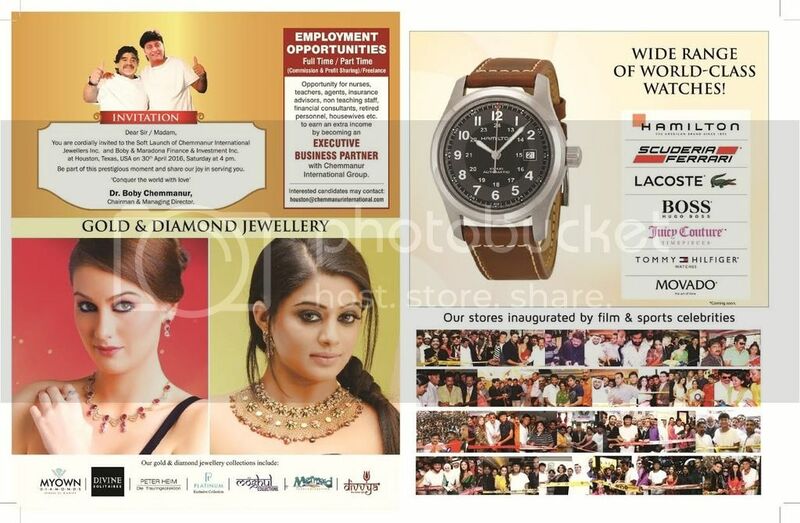 Subhlaxmi Grocers Introduces the BEST REWARDS Program in Town! MetroPCS Coming soon to The Olympic Center! http://youtu.be/HOJ_xo7P-mY Thank you all for coming out ! 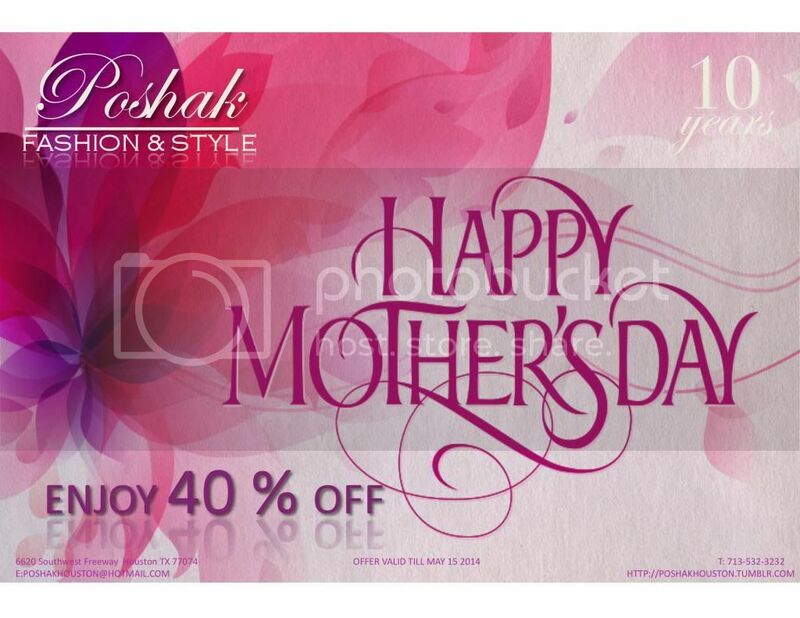 Poshak Fashion 40% Off Entire Stock! 10th Anniversary Celebration! 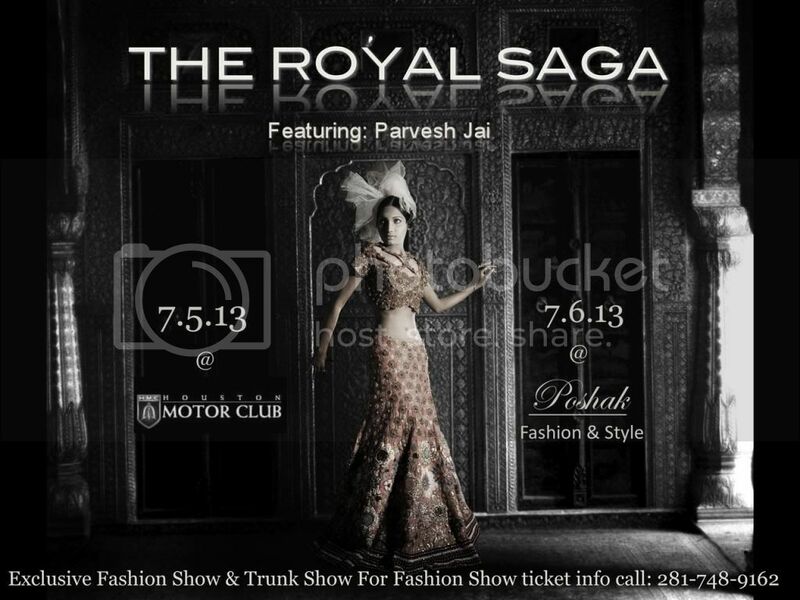 Come celebrate 10 years of Fashion & Style with POSHAK Thank you ALL for the love , support & encouragement!.. OFFICIAL SALE STARTS ON APRIL / 2 /2014 !! SO HURRY & GET YOUR DRESS ! 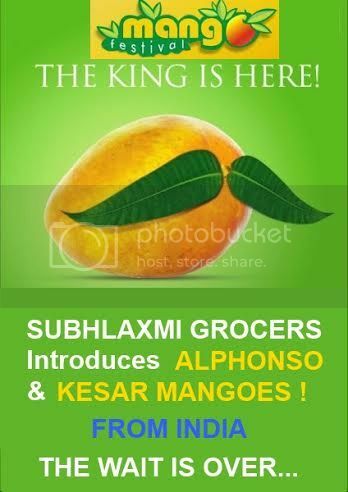 Subhlaxmi Grocers has fresh Indian Mangoes (Alphonso & Kesar) available from today! Perfect for making Mango Lassi, see recipe below: http://www.foodnetwork.com/recipes/jamie-oliver/mango-lassi-recipe.html ALPHONSO & KESAR MANGOS AVAILABLE ONLY AT SUBHLAXMI GROCERS @ GUARANTEED BEST PRICE IN HOUSTON!!!! Poshak Houston has been nominated for Houston A-List's Annual "best of" voting program for BEST Wedding Dress! We are already in first place but need your help to keep our lead. 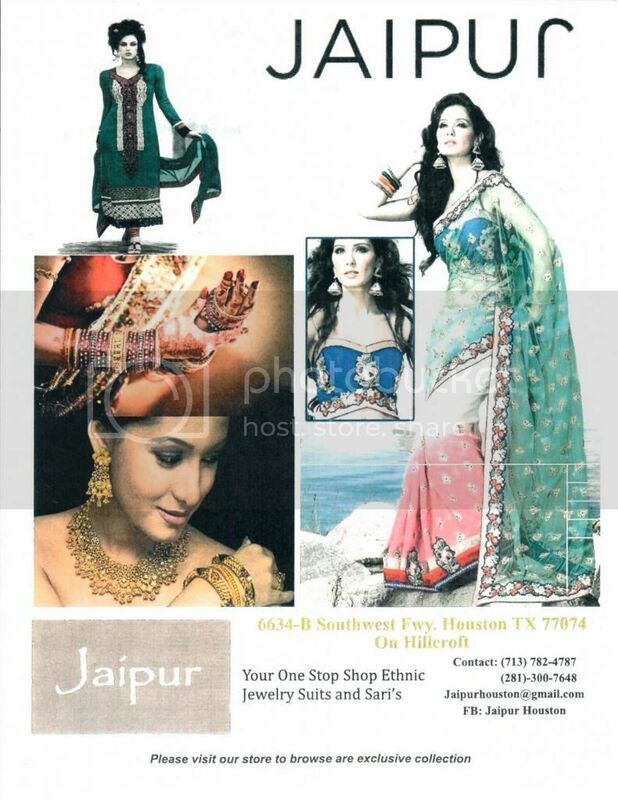 It would be such an accomplishment to win since we are the only South Asian Bridal Boutique on the list. Last day to vote will be June 22, 2014 with the announcement of the winner on June 30, 2014. 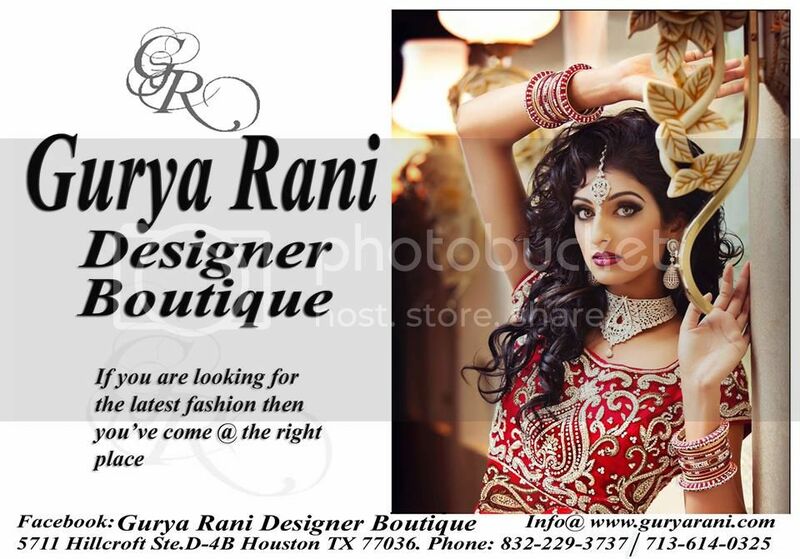 Go to the link above and vote Poshak as BEST wedding dresses in Houston! It only takes a few short minutes! Thank you so much for your support, we really appreciate it! Digital Prints are IN ! Unique patterns sets the tone this season. Digital Printing is at its PEAK this Season. 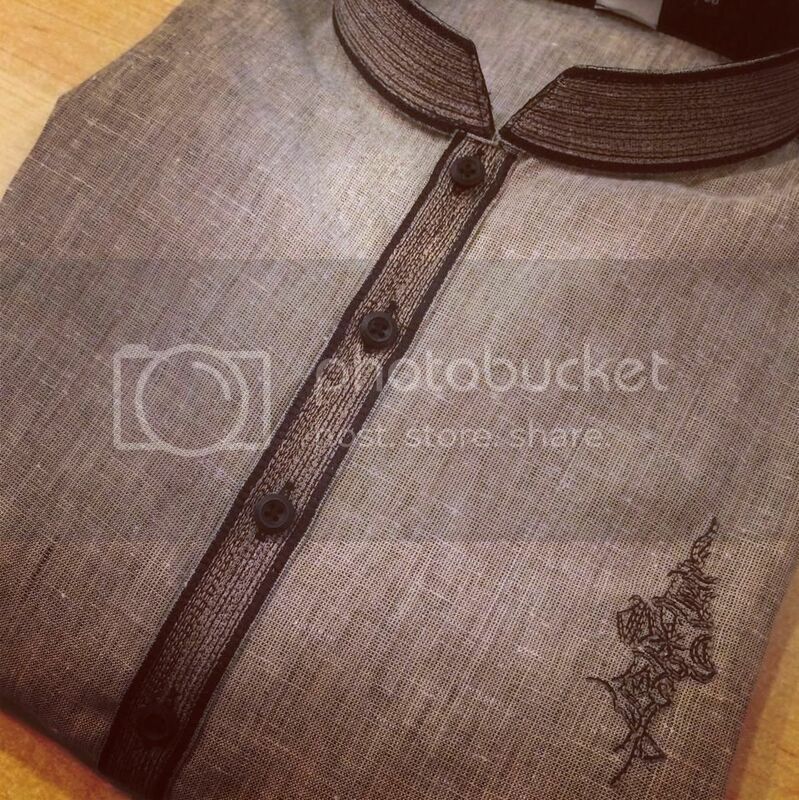 A MUST HAVE item for your wardrobe. Easy to dress up with nice earrings ! Come check out the NEW Collection for this season at our store. Vibrant colors and stylish cuts. Also , in store is our new collection of KURTIS . Celebrate Summer in STYLE ! Sale starts today while supplies Last !.. 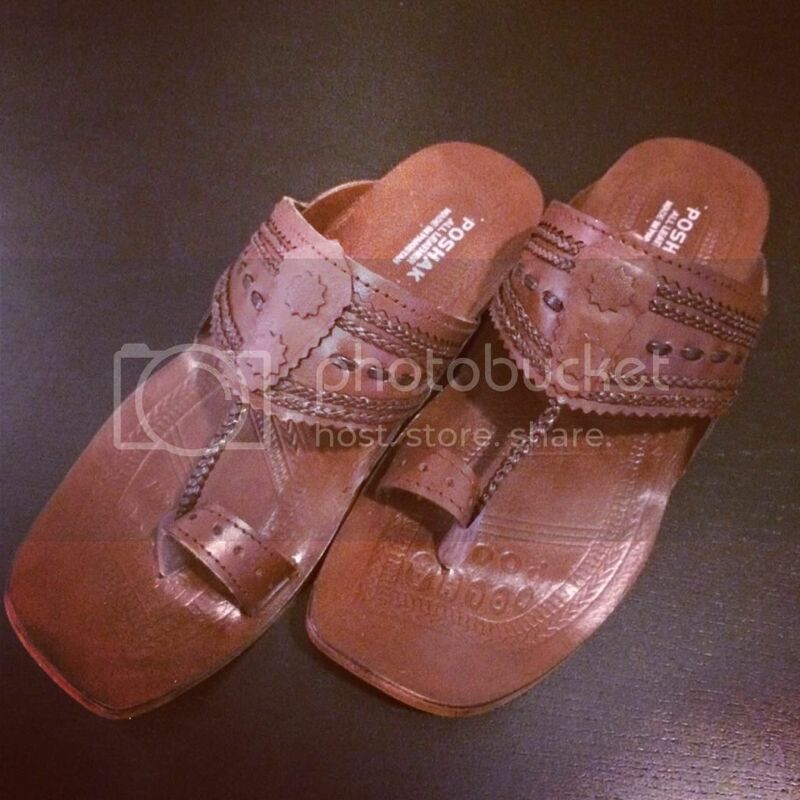 Get the hottest style in Men's shoes and Kulapuri Style . 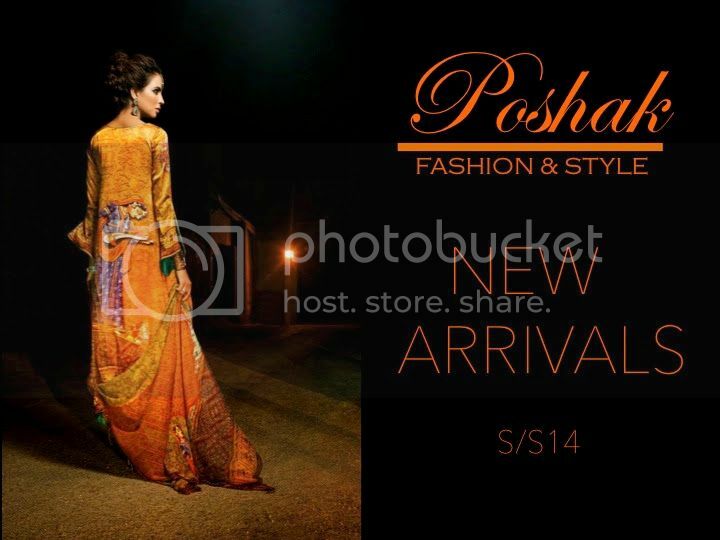 Poshak Fashion & Style Eid Special! 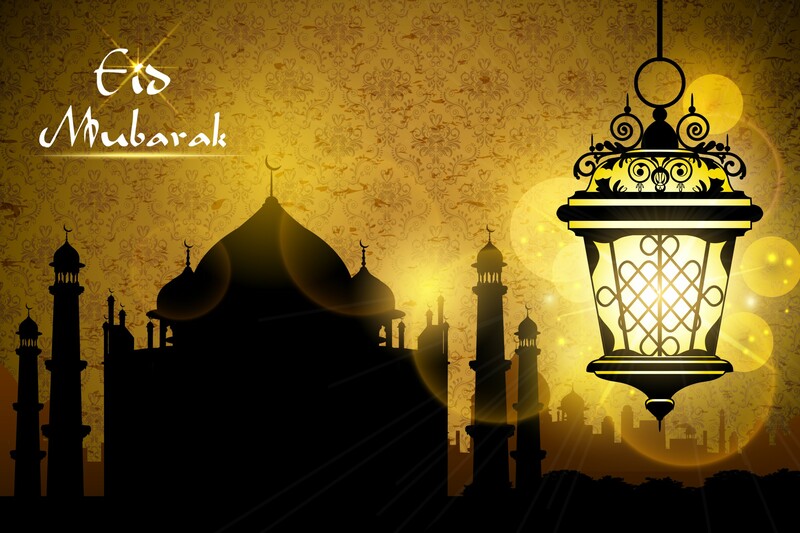 *20% OFF JULY.21.2014 TILL JULY .27.2014 We are starting our EID SPECIAL this whole week . Share with your friends and family ! 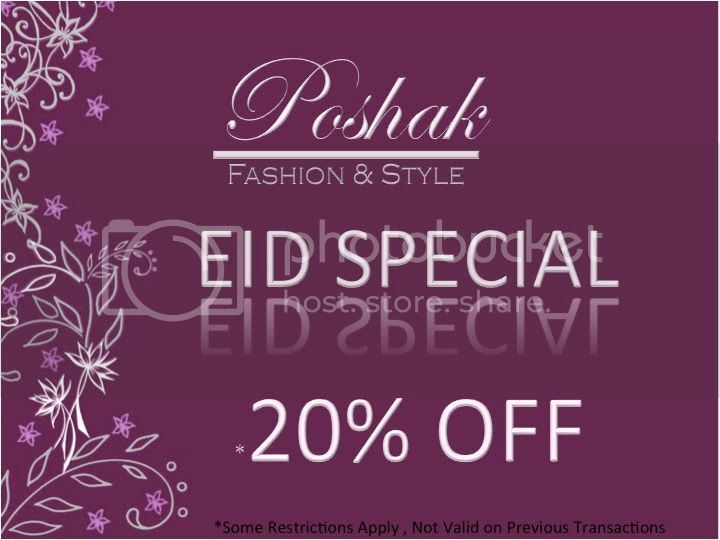 Dress Chic enjoy *20 % OFF on entire Collection of Ladies Suits , Menswear , Boys Suits & Girls Suits from July.21.2014 till July.27.2014 (*some restrictions Apply , NOT valid on Previous Transactions , Sameera Faridi Design Studio , Custom Orders , gents shoes ) Celebrate your EID in STYLE ! See you ALL soon !